Join us for the senior art reception of Anna Hoover. Augsburg College is pleased to welcome Heather Riddle as Vice President of Institutional Advancement effective Sept. 18. Riddle, who most recently served as director of development at Children's Hospitals and Clinics of Minnesota, will lead the advancement of our community's work on the campaign for the Center for Science, Business and Religion; growth of overall fundraising from all constituencies; the continued expansion of our relationships with alumni, parents, corporations and foundations, and government agencies; and the abiding evolution of our culture of philanthropy among alumni and friends, faculty and staff. "We are excited to have Heather as an Auggie," said President Paul Pribbenow. "Her experience, combined with her strong commitment to civic engagement, means she will be able to seamlessly integrate with the Augsburg community to lead our development and constituent relations work. We look forward to Heather's work with me and the Board of Regents, as we strive together to move the College toward its long-term philanthropic goals." KeyStone Search, a Minneapolis-based search firm, recruited a diverse pool of high-level, high-talent and engaged applicants. "KeyStone's Lars Leafblad and Marcia Ballinger delivered a deep, impressive pool of candidates that made our decision difficult, but one in which we couldn't fail," Pribbenow said. "We were again struck by the depth of civically engaged, ethical leaders in Minnesota's non-profit world, and who clearly are so excited about the work we are doing at Augsburg." 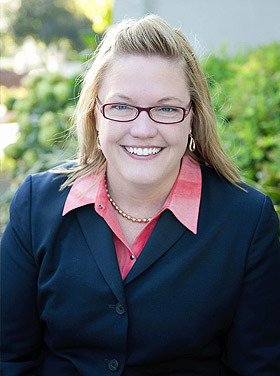 Prior to her work at Children's, Riddle served as vice president of advancement at Concordia University in St. Paul, and was a development staff member at Macalester College. "It is an honor to be asked to lead Augsburg's strong and growing Institutional Advancement efforts," Riddle said. "It is also a great pleasure to join a College that faculty, staff, students, alumni, and community members care about and care for with their time, expertise and philanthropic support. I sincerely appreciate the time so many people took in participating in this search process. Your warm welcome has meant a lot." Riddle has pursued her commitment to civic engagement since she was in junior high. Throughout her post-secondary education, she was a member of the debate team and now serves on the Board of Directors for the Minnesota Urban Debate League. She has a demonstrated passion for service, and is co-founder of the Rock Star Supply Co., one of the largest volunteer tutoring programs for Twin Cities' high school students. Riddle, a graduate of Concordia College in Moorhead, hails from Barnesville, Minn., and now lives in St. Anthony Park with her family.